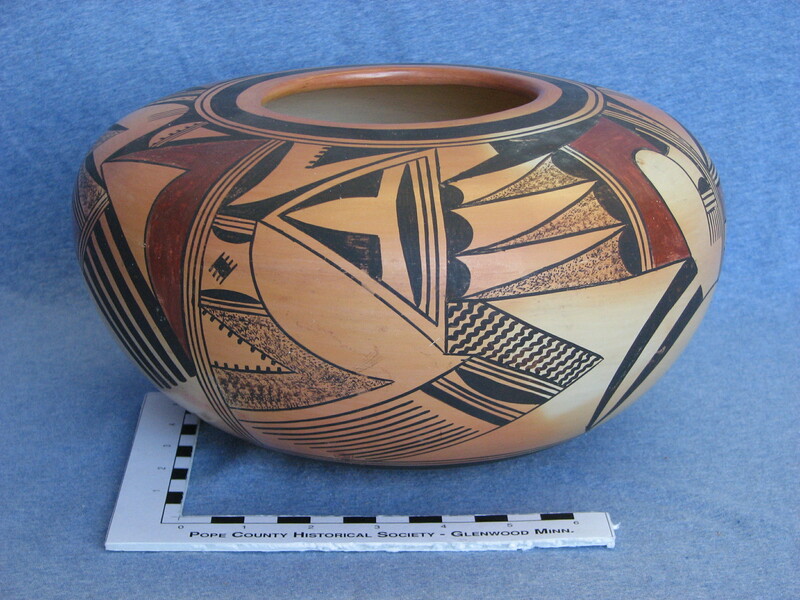 This week we will look at the Hopi pottery in the collection. 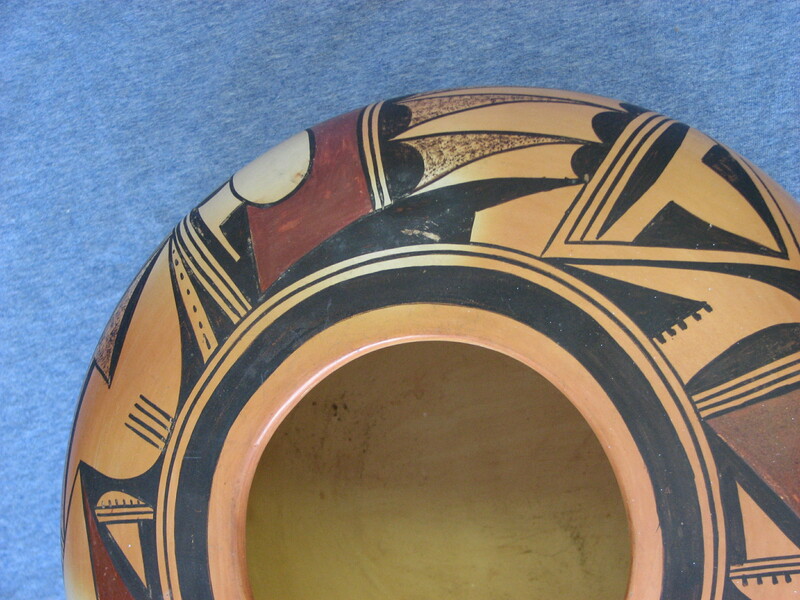 According to wikipedia, “Hopi people make ceramics painted with beautiful designs, and Nampeyo was eventually considered one of the finest Hopi potters. 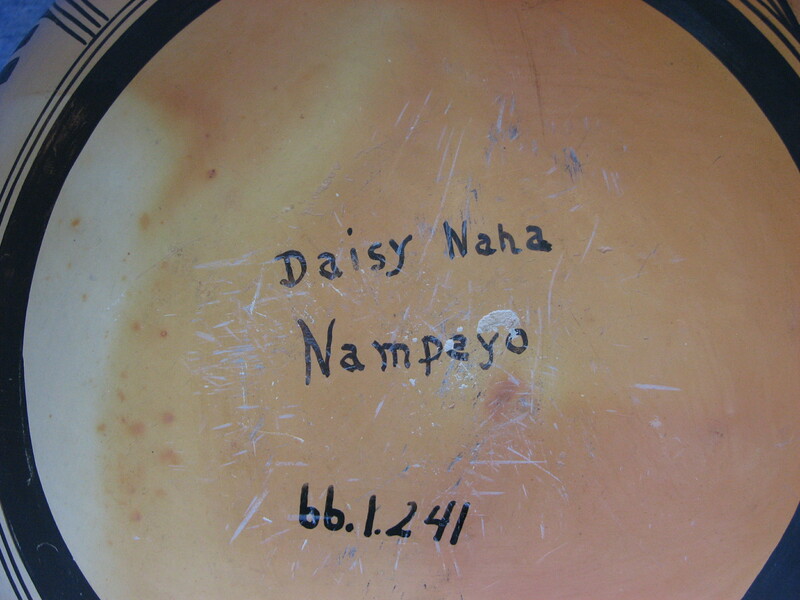 Nampeyo learned pottery making through the efforts of her paternal grandmother. In the 1870s, she made a steady income by selling her work at a local trading post operated by Thomas Keam. She became increasingly interested in ancient pottery form and design, recognizing them as superior to Hopi pottery produced at the time. Her second husband, Lesou (or Lesso) was employed by the archaeologist J. Walter Fewkes at the excavation of the prehistoric ruin of Sikyátkiin the 1890s. Lesou helped Nampeyo find shards showing the old forms and Fewkes produced detailed illustrations of reconstructed pots. Nampeyo developed her own style based on the traditional designs. Her work was purchased for the Smithsonian Institution and by collectors worldwide. In 1904 and 1907, she produced and sold pottery at the Grand Canyon lodge owned by the Fred Harvey Company. She and her husband traveled to Chicago in 1898 and 1910 to display her work. 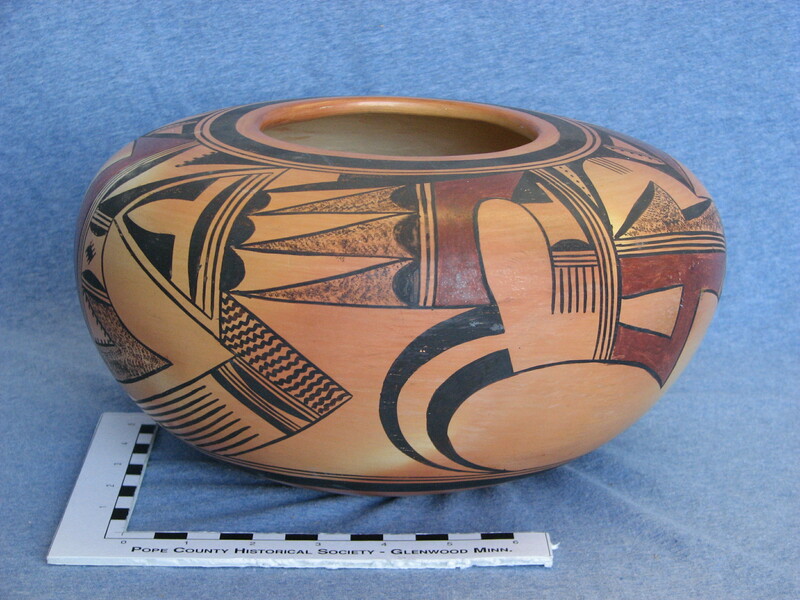 This entry was posted in Collection Notes and tagged A-Z, Cleora Helbing, Daisy Naha, Hopi art, Hopi pottery, museum collection, Nampeyo, Native American art, Southwest Pottery. Bookmark the permalink.